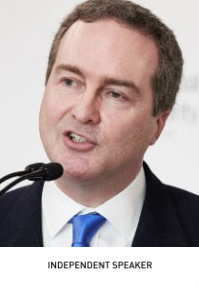 Robert Hannigan was Director of GCHQ, the UK government’s largest intelligence and cyber agency, from 2014-17. Hannigan has a long history of involvement in cyber security and technology, having drawn up the UK’s first Cyber Security Strategy and outlined the government’s ambition of making the UK ‘the safest place to live and do business online’. He set up the UK’s National Cyber Security Centre as part of GCHQ, which was officially opened by Queen Elizabeth in 2017, and launched the active cyber defence programme for the UK in 2016. Hannigan strongly promoted technical skills in his leadership team and his term as Director saw the biggest internal transformation of GCHQ since the end of the Cold War. Hannigan served as Security Adviser to the UK Prime Minister from 2007-10, giving advice on counter terrorism and intelligence matters. As Head of Intelligence, Security and Resilience in the UK Government’s Cabinet Office, he was responsible for the funding and oversight of the three UK intelligence agencies. For nearly ten years Hannigan lived in Belfast and worked on the Northern Ireland Peace Process as Tony Blair’s principal civil service adviser. He was responsible for negotiations with the political parties and paramilitaries, as well as liaison with the US, Irish and other Governments. He is the only civil servant credited with great creativity in Tony Blair’s autobiography. He has a particular interest in Bletchley Park, where he is a Trustee, its codebreaking and the birth of computing. He caused international controversy by criticising social media companies on his first day in office at GCHQ but has also spoken at MIT in defence of strong encryption. Hannigan is widely credited with opening up the secret world of GCHQ and explaining its work, inviting the media in for the first time. He has championed diversity and inclusion as part of his wider campaign to foster cyber skills. He was the first intelligence agency head to address the Stonewall workplace conference, during which he apologised for the treatment of Alan Turing and other LGBT staff. Hannigan has been recognised for his work in promoting women in technology, BAME recruitment and neuro-diversity. He is a Fellow of the Institute of Engineering and Technology and a member of the Ministry of Defence Innovation Advisory panel with Ron Dennis and Tim Peake. He is an adviser to BlueVoyant LLC and McKinsey & Co.